AMP Guitars in Macclesfield is a treasure trove of guitars, amps, and pedals. This tiny emporium is filled from floor to ceiling with used instruments, and owner Chris is devoted to the preservation and conservation of heritage guitars. Using its proximity to Manchester to attract local celebrity guitar players, AMP also uses Reverb to extend its reach across the globe. 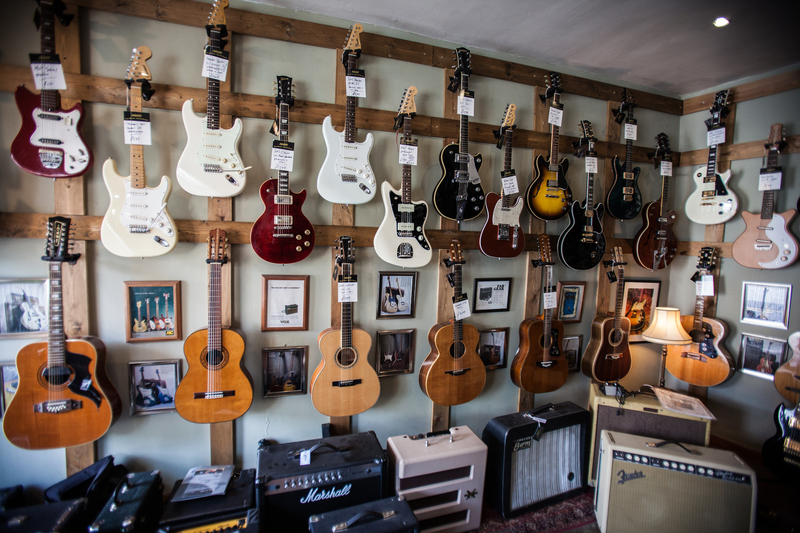 Founded in June 2013 by musician and guitar enthusiast Christopher Insley, AMP Guitars is nestled in the foothills of the Peak District, just south of Manchester. 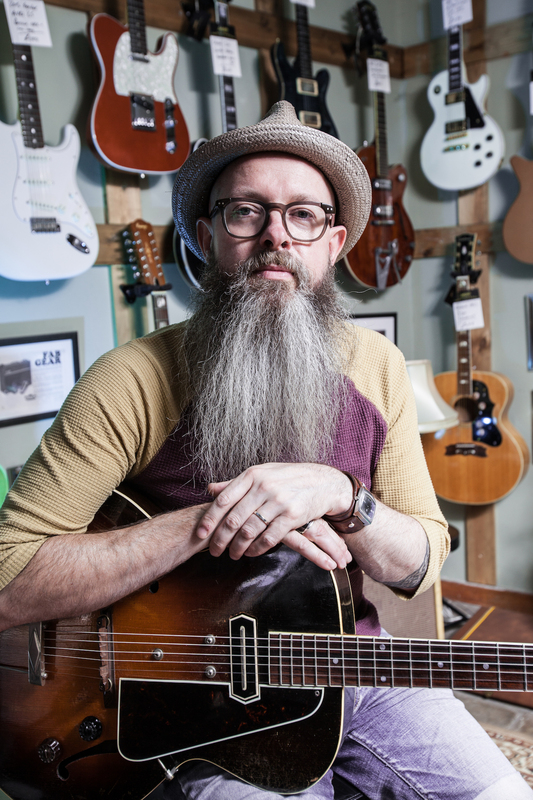 After years of selling his own equipment, Chris decided he had enough experience to become a professional dealer and opened AMP in a small 17th century shop in front of one of Macclesfield’s oldest buildings. A longtime fan of Japanese lawsuit-era and reissue guitars, as well as unconventional and otherwise unique and collectible gear, Chris handpicks his stock to cater to a wide spectrum of clients, from the keen beginner to the avid collector. It’s his philosophy that he will only take in things he would like to own himself, ensuring the instruments and amplifiers that line the walls of the shop all meet his own personal standard. Some of AMP’s most recent acquisitions include a 1970’s, Japanese-made Columbus S-type and a beautifully bizarre Danelectro Resodan resonator from the mid-’90s. AMP Guitars has quickly become a destination for clients from the UK and further afield, having repeat customers from Europe, the U.S., and Australia. Over the last five years players such as Noddy Holder of Slade, Squeeze’s Glenn Tilbrook, Midge Ure, New Order, and Johnny Marr have all shopped in AMP, with the shops proximity to Manchester being a real draw. Young up-and-coming bands from the Manchester area have also been a big part of AMP’s ever-growing client base, with Josh Dewhurst of The Blossoms and indie-darlings Cassia being recent customers. AMP pride themselves on their ability to source a particular instrument, working closely with other independent shops and private dealers to find a model that meets customers’ exact requirements. The shop offers full setups, restringing, and amp repairs in their small workshop space, with more intricate guitar repairs handed over to a team of trusted local luthiers. Like many smaller retailers, AMP are utilising Reverb to reach customers that are unable to visit the shop in person, and using this method, his business is thriving.